Time to get-a-way in your own mountain cottage in Patrick County, VA. Perfect for a couple to enjoy. Living room, kitchen/dining area with custom red oak cabinetry, side by side refrigerator/freezer, dishwasher and stove, bath and one bedroom. Full unfinished basement with plumbing for an additional bathroom. Total of 911 sq. ft. living space. Great long range view of the mountains from the upper deck. 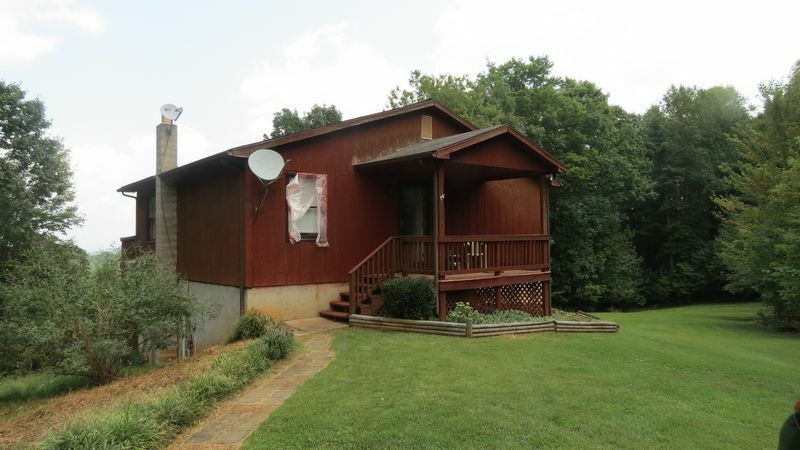 Located in a mountain development just half mile on private gravel road. Click on the arrows to scroll through the views. Click on any thumbnail for a larger view below.